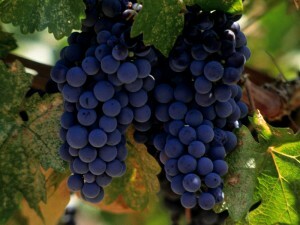 Syrah is one of the noble red grapes of the Rhône valley and is the essential body of most blends. It produces intense wines, with deep blackish-purple colour, texture and richness, alcoholic strength, and aromatic elegance with aromas that tend to be more spicy (black pepper, liquorice, clove, thyme and bay leaf) than fruity (black currant, blackberry). When aging, it develops aromas of cocoa, blond tobacco and leather. The chalky character of the tannins provides a good structure for softer, fruitier varietals such as Grenache. Syrah at Tara is 20 years old, trained on three wires, covers a surface of 2.5 hectares in the south-east part of the estate. 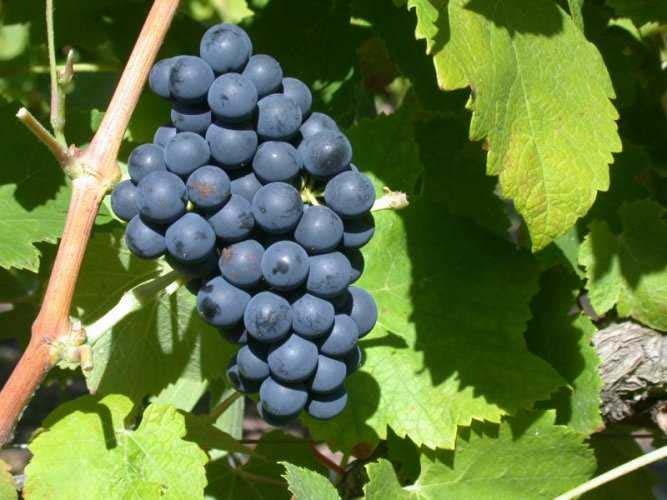 Red Grenache is the most widely planted noble grape in the southern Rhône valley. 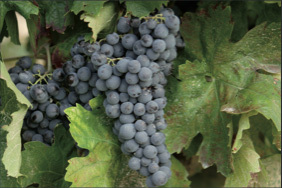 Although many California Grenache clones produce simple wines which tend to be pale in color, their French clones produce brilliant ruby red wines which are heady in alcohol and intensely fruity, fleshy and fat. On its own, Grenache tends to age rapidly. In Provence, it is mostly used to “fill out” red blends and soften harsh grapes like Syrah and Carignan. The bouquet of Grenache develops aromas of black pepper, menthol and liquorice. The palate is very distinctive and identifiable with flavours of currant and cherry. Red Grenache at Tara is 8 years old, trained on two wires, covers a surface of 1 hectare in the east part of the estate. 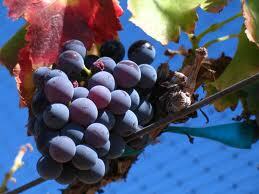 The most widely planted red wine grape in France, Carignan produces wines that have high colour and acidity. With age, careful management of the vine strength and limited crop size, Carignan produces very interesting and distinctive wines with aromas of black fruit, black pepper and liquorice. Carignan also blends very well with Syrah and Grenache. Carignan at Tara was planted 28 years ago in the traditional way (goblets), covers a surface of 1 hectare on the east part of the estate. Merlot is trained on two wires and covers a surface of 0,7 hectare in the south part of the estate. Merlot is a variety with a great aromatic range of flavours, from red berries to more earthy aromas. This variety is not listed in the AOP Ventoux, it is used in the making of our late harvest vintage wine.